If the world’s most exclusive convertible is still too common a sight for you, perhaps the Dawn Black Badge will tickle your fancy? There is hand built and there is hand built. When it comes to 21st century consumer products, there is an undeniable tendency to think that automated and mass produced products are just better in every way than something that’s been custom built, with the possible exception of a tailored suit. And we are right. Just think how much trust you’d put into a hand made light bulb, mobile phone, computer, washing machine, MRI machine, camera or Internet router. The moment we think ‘hand built’, our minds cannot help conjure up images of dingy sweatshops, greasy antediluvian machines and lots of sawdust. For something to be hand made it normally means imperfect, faulty, asking for trouble. Cars did used to belong in the first category and then Henry Ford introduced automotive mass production. Since then, process automation has become paramount for the auto industry, particularly in relation to build quality and standards of finish. It’s also the very thing that allowed almost everybody to afford a car – so much so, that a hand built car is an anathema to most of us. A mechanical contraption with about 1,000 moving parts designed to move at certain-death speeds with us in it – why would anyone entrust a human being with piecing it together? And then we remember that all F1 cars are hand built. As are all the vehicles used for MotoGP, Nascar, WRC and even the Tour de France, and they all seem to work quite well, don’t they? These, however, are built for speed (something they’re rather good at) but there’s another breed of hand built machine that merits our attention: Rolls Royce. These, too, can move with remarkable pace but that’s not really what they’re about. No, a Rolls-Royce is built, like some of our spouses, for comfort. The Dawn Black Badge is Rolls-Royce’s answer to the public clamouring for a more sporting version of the world’s most glamorous drop-head. Well, perhaps not so much of a clamour as a discrete and polite expression of interest from the young-at-heart segment of the ultra-rich. As such, while in our previous review of the Rolls-Royce Dawn we determined it the perfect car for tanning the bald pate of the silver fox mogul, the Black Badge is more fitting at the hands of the industry disruptor, the rebellious weekend Harley rider or the devoted coder. 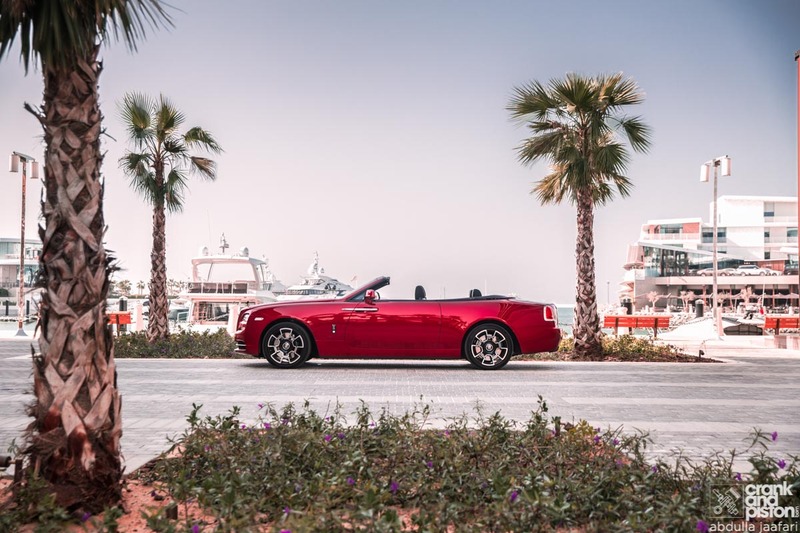 For such a client, Rolls-Royce redefines the car’s character with subtle, but noticeable differences such as carbonfibre bonded with aircraft grade aluminum, and increased amounts of leather upholstery that covers practically every surface. The details go as far as reversing the colours on the double-R badge, a matt black Spirit of Ecstasy and black wheels. The Black Badge models drip with details designed to exert a sense of menace and danger, and to dissuade those younger buyers from pimping up their motorcars at aftermarket tuning companies, especially in this region and the United States. Under the vast bonnet, the 6.6-litre, twin-turbo generates a perfectly disrespectful 593bhp and 840Nm of torque, with both figures being slightly north of the original’s 563bhp and 820Nm. Admittedly not the wildest of differences but, paired with a slightly less silent exhaust system, enough to hear it in what otherwise remains the quietest convertible on the market. Continuing with the allure to its focus group, the steering rack and ZF 8-speed gearbox are engineered for a more dynamic feel and an enhanced sense of urgency. Also tweaked are the suspension settings that intentionally transmit this darker and more youthful personality to the driver. Yes, these models are designed to be driven, rather than be driven in. However, the compromise the brand has to make in order to retain its famed ‘magic carpet’ floatiness doesn’t mean it’s suddenly become a stiffly sprung racecar – far from it. Cornering, the Black Badge is marginally flatter at speeds and ever so slightly more responsive than its brethren. However, finding the limits is more of a guess than a feel for what’s happening at the wheels. This is, at the end of the day, a 2560kg car and the laws of physics don’t really care about the price tag. In a straight line, this Dawn will hit 100kph in 4.9 seconds, which is exactly the same as the launch model. This is, however, not particularly surprising as the power output is only five per cent higher and the torque a mere 2.4 per cent. The real differences relate to the braking, as the Black Badge comes with significantly wider disks, and a remapping of the transmission that downshifts earlier when driving ‘with spirit’. None of it matters though. The whole point of a convertible is to drive it in the open, and the only thing speed and lateral G’s are going to do is make hats fly, and ruin Brazilian blow dries. It’s certainly much better to look menacing than to actually be menacing and, in this regard, the Dawn strikes the perfect balance between what it can do, and what it looks like it can do. Cruising around under the elements in blissful comfort and poise is where this tamed beast belongs. 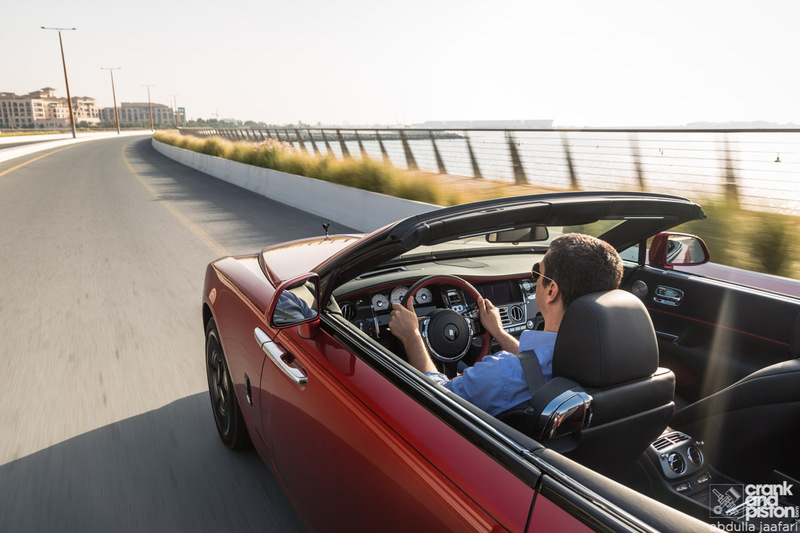 Even in Middle Eastern heat and highway traffic, the outstanding air conditioning will keep you cool, and the bespoke sound system will accurately reproduce the melodic elements of your tunes of choice. When it comes to driving aids, electronics and safety, the Dawn inherits quite a number of the frills available on the 7 Series, but not all of them. As such, things like automated parking or remote AC start are not present. However, the mechanised ‘suicide’ doors are, and once you’ve used them, you will never extend your hand to close the door again. Rolls-Royce does seat massage differently to most other carmakers. While most use electrical ‘fingers’ on your back and derriere, the Dawn alternatively lifts a cheek (not the facial variety) to help ease back tension and allow your travel to continue that much longer between stops. Not that you can take much in the way of luggage with you when travelling, however. Because while the Dawn might be dripping with luxurious appointments and be able to ease your sciatica, the structural strengthening that would normally impinge on a convertible’s interior space has mostly been packed into the boot. The resulting space equates to just 244 litres, which is even less than that available in a Mini. Best, then, to have one’s bags sent ahead to the hotel in their own vehicle, but I digress. Long journeys are, tiny boot notwithstanding, where any modern Rolls-Royce comes into its own and the Dawn Black Badge is no exception. On the open road it is stupendously fast, gathering pace with alarming rapidity that never fails to impress, especially as there’s never any escaping the car’s sheer physical mass. It eats the kilometres as though they’re not there, smothering road imperfections and flattering its driver by just slightly tightening up the handling, taking a smidgen of front end dive away from the braking and adding a soupcon of mechanical noise into the mix. 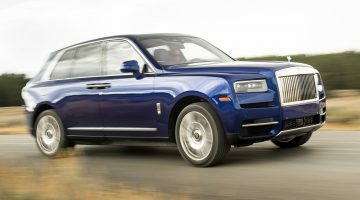 It’s no obnoxious tearaway, rather it personifies the famed Rolls-Royce recipe of refinement and luxury but with a more youthful exuberance that’s difficult to put your finger on, but definitely goes deeper than mere cosmetic differences. As a grand touring automobile, it remains without peer but would perhaps find its natural habitat to be the Côte d’Azur rather than the desert highways of the UAE. The Rolls-Royce Dawn Black Badge is a fabulous example of exclusive design, distinctive prestige and sporty comfort. One that comes at a price – a price that is not officially communicated but one that, should one have to ask, one simply cannot afford. 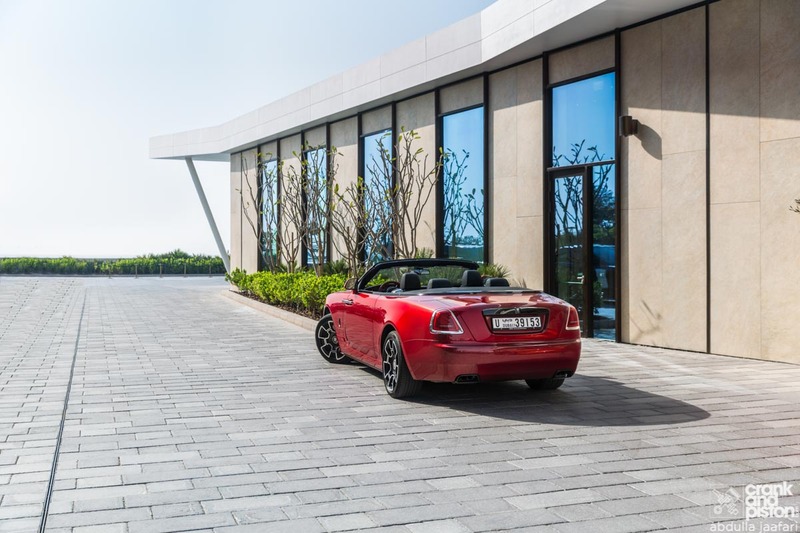 And when we’re talking about the world’s ultimate convertible motorcar, that’s exactly how it should be. David Fernandez: "You may disagree with me. It takes a big man to apologise and rectify. I will give you that chance"